Here just for the holiday season, we bring you our Boas Festas Blend. 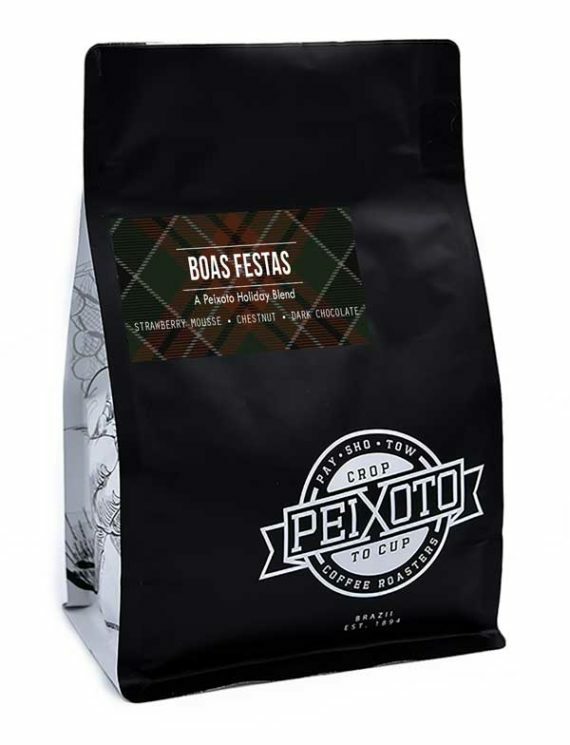 Consisting of our Peixoto Doce and a natural process Ethiopian coffee, both roasted to their peak sweetness, this coffee is bursting with rich flavors that compliment all things holiday. Great with desert, or in your pj’s by the fireplace, this coffee’s predominant tasting notes of strawberry mousse, chestnut, and dark chocolate will just make you smile.